Leslie Primrose, a son of John William Primrose and Katherine Ellen Dent, was born at Ballarat East in 1890. John Primrose worked on the railways as a guard on the Melbourne-Ballarat passenger train. Leslie attended Ballarat High School and later the Ballarat School of Mines where he passed his Junior Public Examination in 1910. 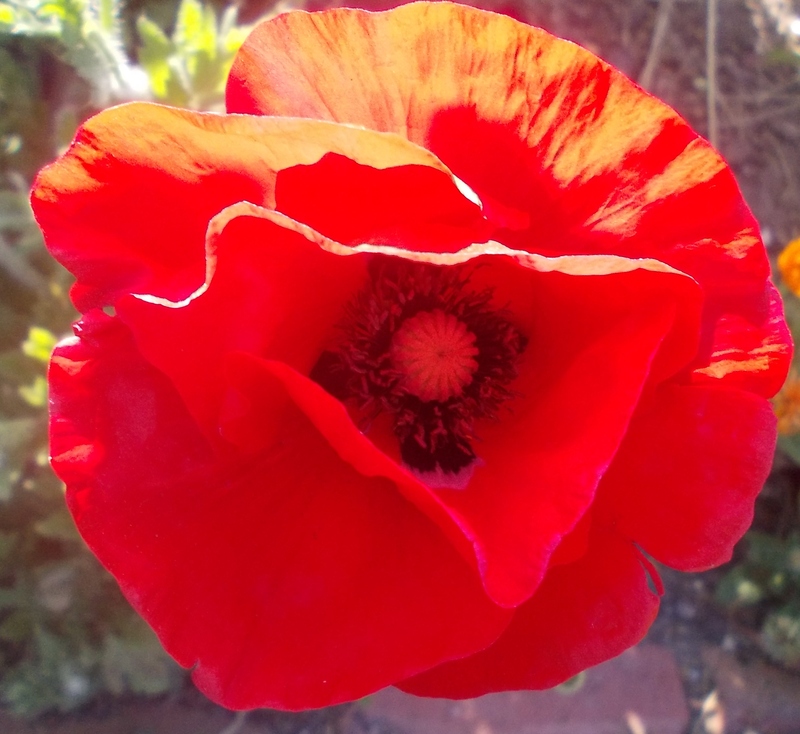 He was also serving in the Citizens’ Forces with Ballarat’s 7th Infantry Battalion. Leslie was a good athlete and footballer and he played for the Golden Point Football Club. Around 1912, Leslie went to Melbourne University, training as a teaching. For the 1912 football season, Leslie was transferred from Golden Point Football Club to University Football Club, then playing in the Victorian Football League (equal to today’s AFL). He played sixteen games for University in 1912-13. Leslie is in the photo below, front row third from the left, at the opening of the 1912 VFL season. 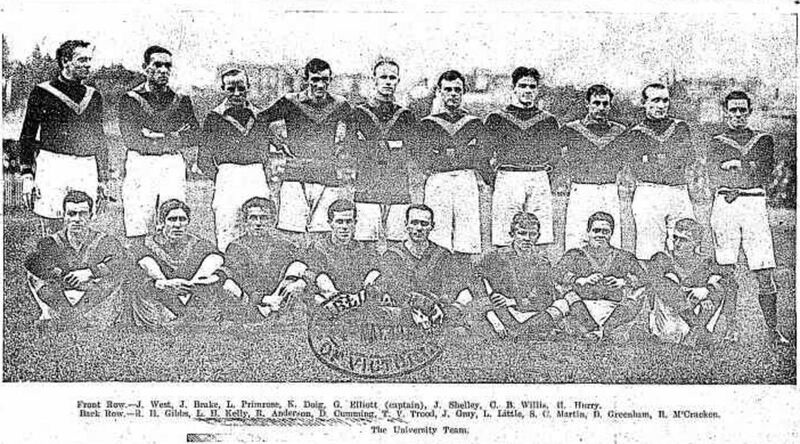 “OPENING OF THE FOOTBALL SEASON–ESSENDON V. UNIVERSITY.” Leader (Melbourne, Vic. : 1862 – 1918) 4 May 1912: 29. Web. 5 Apr 2017 <http://nla.gov.au/nla.news-article198130787&gt;. In September 1912, Leslie received his Diploma of Education and one of his first teaching postings was at Hamilton in 1913. He had a link to Hamilton as it was home to his uncle Daniel Primrose. Leslie’s appointment was science master at the Hamilton Higher Elementary School. He was a good pick up for the local Caledonian Football Club for the 1913 season, proving one of their better players. At the end of the 1914 football season, Leslie received a gold medal for the most consistent player for Caledonian. 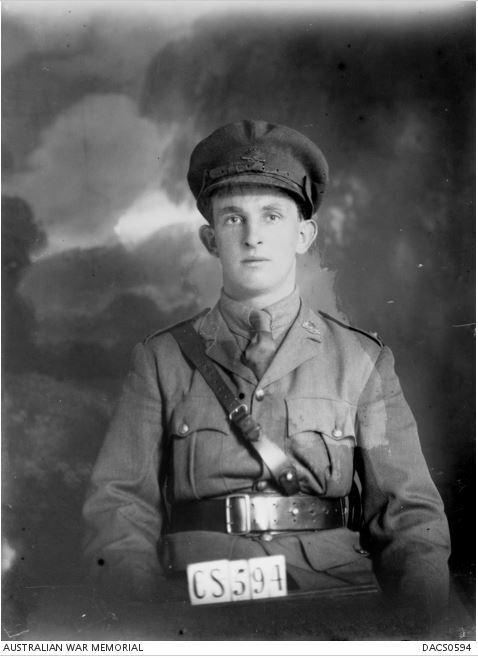 On 2 August 1915, Leslie enlisted at Bendigo. He started as a private but his potential was noticed and he started at Sergeant School on 15 October 1915 in Ascot Vale. 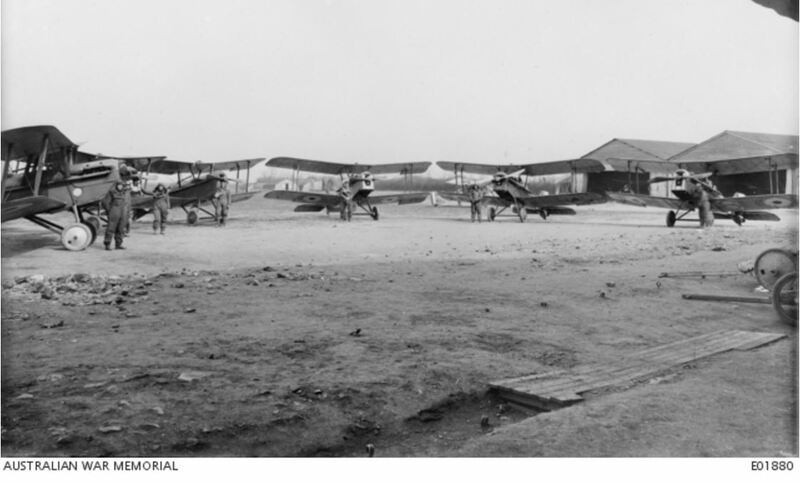 He left Australia with the Australian Flying Corps (AFC) 4th Australian Flying Squadron on 17 January 1917, arriving in England in March 1917. He then started pilot training, receiving his wings on 12 July 1917 and promoted to Lieutenant on 9 August 1917. Sometime afterwards, Leslie wrote to the head teacher of the Hamilton State School to ask how things were going in Hamilton. 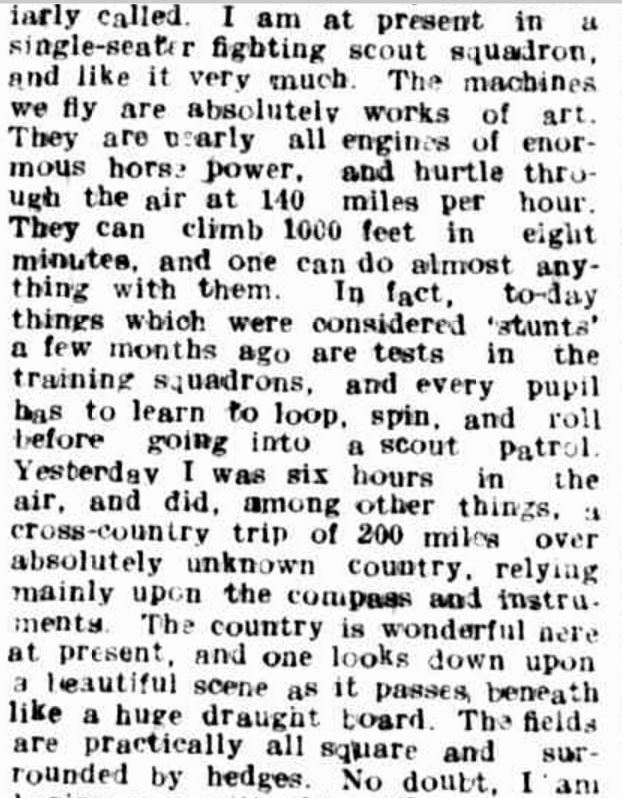 Leslie shared some of his flying experiences. “WITH THE “FLIERS” IN FRANCE.” Hamilton Spectator (Vic. : 1870 – 1918) 3 January 1918: 4. Web. 7 Apr 2017 <http://nla.gov.au/nla.news-article119497428&gt;. During October 1917 while moving planes from England to the frontline, Leslie crashed his plane and spent time in hospital before convalescing in Dublin and Kent for two months. It was February 1918 before Leslie headed to France as Adjutant of the AFC’s 33rd Training Squadron. By February 1918, he had joined the AFC No. 2 Squadron by February 1918. 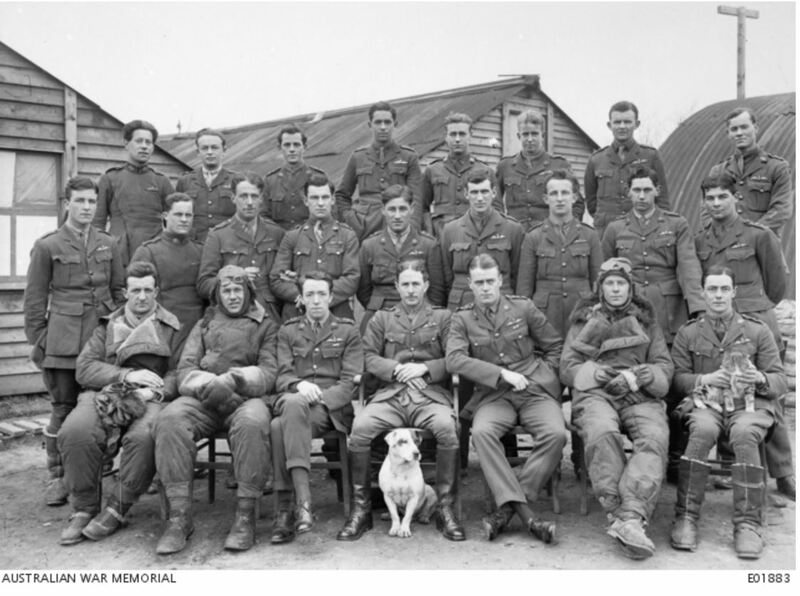 The photo below is of the officers of the No.2 Squadron. Leslie is in the middle row, second from the right. And note the squadron’s two mascots. On 4 April, Leslie left on a flight from Amiens, France at 1:00 pm but was forced to land at 2:18 pm when his plane’s oil tank was shot and the engine seized. The unit diary also shows he shot down a plane at Chuignes east of Amiens at 7:30 pm on the same day. He was using a Vickers and Lewis gun, flying at 15,500 feet. On 4 June 1918, Leslie left on a practice patrol at 2:25 pm at Clermont, south of Amiens. It was believed he was “contour chasing”, that is flying low to the ground at speed. He crashed into what was described at the investigation as a “mound” and was killed. 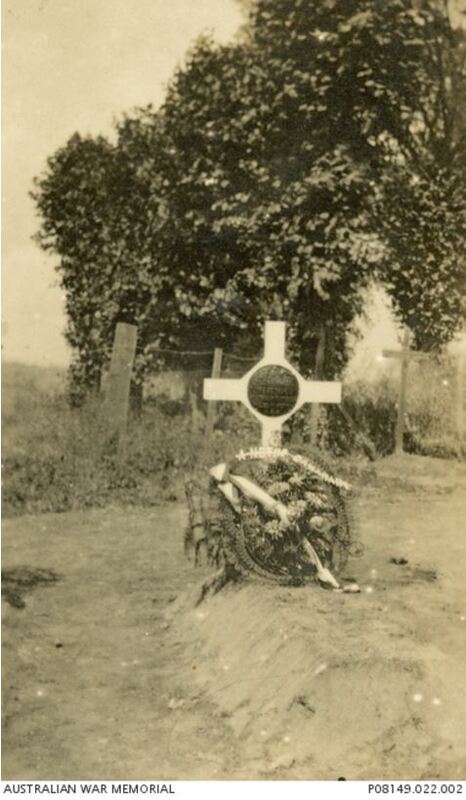 Leslie was buried at the Breuil-le-Sec Cemetery then moved to the Catenoy French National Cemetery at Oise. Only two members of the Commonwealth are buried there. 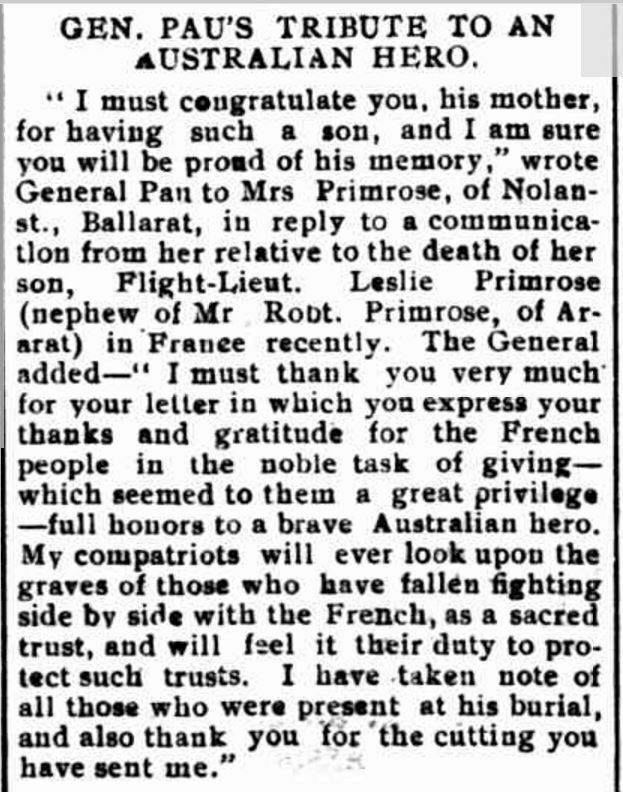 In 1918, Leslie’s mother Katherine wrote to the French General Pau prior to his tour of Australia in 1918 to visit returned servicemen. During his visit, General Pau returned Katherine’s letter. “GEN. PAU’S TRIBUTE TO AN AUSTRALIAN HERO.” Ararat Chronicle and Willaura and Lake Bolac Districts Recorder (Vic. : 1914 – 1918) 8 November 1918: 2. Web. 18 Mar 2017 . Leslie’s father John Primrose died on 12 June 1919 aged fifty-three. A tree was planted for John along Hamilton’s Anzac Avenue, Ballarat’s Avenue of Honour and the Waubra Avenue of Honour. His name is also part of the Old State College WW1 Stained Glass Window at the University of Melbourne.